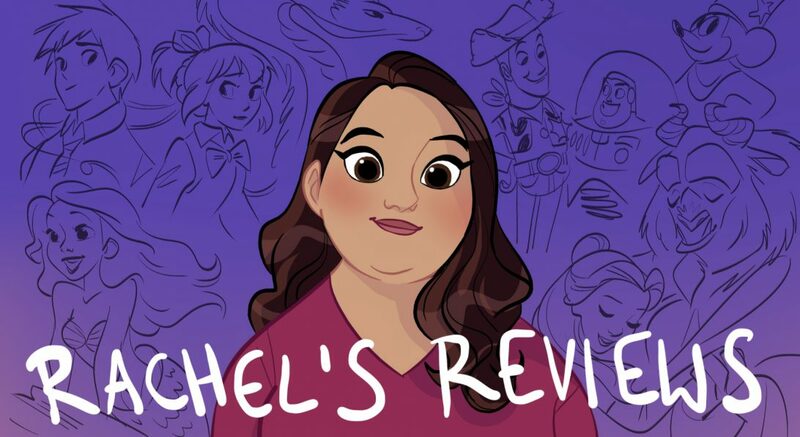 Anyone who has followed this blog since its start knows I am not as high on Wreck-It Ralph as most of the Disney fandom is. I think it is a harmless movie but not one of the greats as I often hear claimed. It gets stuck in Sugar Rush too long and the plot becomes fairly pedestrian. Naturally I was very worried when I heard they were making a rare canon sequel (only 2nd non-package film sequel) and even more concerned when it was all going to be online. One of my issues with the original is it doesn’t fulfill the promise it makes to explore the arcade and see lots of worlds. Now for the sequel, they would be leaving the arcade all together for the internet? This seemed like a terrible idea and my worries grew stronger when I saw the Princess clip at D23 in 2017. I was also worried that the humor would be too Shrekian and based on parody as opposed to satire and story-based. However, I always go into any film with an open mind, hoping to be dazzled, and fortunately my worries were relieved. I can confidently say that Ralph Breaks the Internet is a complete delight and better than its predecessor in nearly every way. In the original film you have a story of a bad guy wanting to be good, which is fun, but it gets kind of lost in the shenanigans of Sugar Rush. Vanellope’s underdog story becomes more of the focus with a villain reveal that is very predictable (especially now when we’ve seen that trope so many times by Disney and Pixar). The story in Ralph Breaks the Internet is a lot more subtle and nuanced. Ralph and Vanellope are friends and they love each other but that doesn’t mean they are the same. Vanellope yearns for newness and a chance to get out of Sugar Rush. On the other hand, Ralph likes things to stay the same, day in and day out. This is a conflict I can easily relate to as I am a same stuff kind of girl. I could eat the same things, wear the same clothes, do the same activities each day and be perfectly fine. I guess this is why I’m fine watching 95 Hallmark movies a year or reviewing 35 versions of A Christmas Carol. It’s just how my brain works. I related to this division between Vanellope and Ralph. You still love each other but you process the world differently. As is easy to do, Vanellope and Ralph deny these differences for a long time not wanting to hurt the others feelings. Then a crisis happens in Vanellope’s game that forces them to go online to try and buy a steering wheel on Ebay. This pushes them to acknowledge their differences and learn to love each other in a new way. I found this much more moving and nuanced than the lesson of the original film. It’s easy to love someone who is the same as you. It takes a lot more work to love someone differences and all (in fact love them more because of those differences). As is always the case with comedy, I suspect the humor will be the most divisive part of the Ralph Breaks the Internet. I actually ended up loving it. My worry was that the jokes would be parody and not part of the story but to my pleasure almost every joke is story-based. Whether it is Spamly or KnowsMore giving them directions or the Princesses helping Vanellope with her conflict with Ralph the humor was all part of moving the characters forward as opposed to just throw-away parody jokes. While I still don’t love the kidnapped and enslaved joke in the princess scene, most of the other humor worked for me. I was particularly happy to see Ariel be lovingly showcased. She is kind of the leader of the girls and got most of the best laughs. There is even an Alan Menken song towards the end, which was a real treat! If you like the humor in Enchanted or Elf you will really enjoy this. I also really enjoyed the scenes in Slaughter Race. The racing sequences were incredibly animated. The only ones better I can think of is from Cars 3. Gal Gadot does a good job playing the leader Shank and her bond with Vanellope is really sweet. They reminded me of the roughians and thugs from Tangled– rough on the outside but sweet on the inside. As she experiences this freer style of racing Vanellope realizes this is where she belongs, but she knows it will hurt Ralph to admit this. This is conflict I can relate to and that most people have experienced as they try and navigate long-term friendships. While Vanellope is in Slaughter Race, Ralph gets an education on youtube. I loved the way they animated the users of the internet. It wasn’t cynical like The Emoji Movie. Most of the time the users were having a nice time and enjoying their time in whatever website was being portrayed. As things broke down they were upset but not as cynical as The Emoji Movie where the kids couldn’t communicate at all without their phones. Ralph meets a woman named Yesss who is an algorithm for determining trending videos. I related to all of this youtube (buzztube in the movie) as I am a youtuber. It showcased the highs and lows the medium offers. Ralph gets very excited as his gimmicky but harmless videos make enough money to purchase the steering wheel but then is hurt when he reads the comments and realizes he is a joke. Yesss tells him to never read the comments. While I am small and most of my comments are friendly, I can certainly relate to the toxic side. No matter how strong you are it can still sometimes sting. I appreciate the nuanced and balanced look at the internet Ralph Breaks the Internet showed. I am hearing the ending is divisive but it worked great for me. Ralph is a character very resistant to change. He is giving into his fears and the virus he purchases magnifies those fears. As someone who is also resistant to change, I related to it. These are flawed characters who grow and learn. Isn’t that what we want in scripts? Plus, the tension and conflict was broken up by lots of humor, so it all worked for me. When Ralph and Vanellope learn to accept each other for who they are and come to a new deeper friendship I found it moving and a lovely growth arc for both characters. It almost goes without saying that the animation is phenomenal. Unlike the original film where we spend 45 minutes in Sugar Rush, here we are zipped around to many different worlds and sites. I loved all of the world building and like I said the racing sequences were amazing! The voice work was also delightful. John C Reilly does a great job with Ralph. Sarah Silverman still isn’t my favorite but she’s servicable in this. I loved Gal Gadot and supporting voice work was all great including all the living princess actors (even Paige O’hara who had aged out of her role was brought back!). Some may wish for more time with Felix and Calhoun but what we got from them was hilarious so I was satisfied. I even liked the post credits scene which played up on audience expectations and was very funny. I loved Ralph Breaks the Internet. It spoke to me more than the original. It had a more nuanced and powerful message. It was a lot funnier and the animation was better. (It even had a princess song!). I am seeing some mixed reactions from fans of the original, which is to be expected but I can only speak for myself and I thought it was a complete delight! I never thought I would be saying this but I’d even be up for a 3rd installment!